curated lifestyle stock & Flatlay photos, business mini classes, and monthly bonuses for entrepreneurs who don’t just want to look good online, they want a successful business too. We aren’t your typical stock photo site. While we promise to make you look pretty on social media, we are so much more than that. We are the go to resource to help you build your brand and convert your audience into paying clients. Ever feel like you can’t keep up with the visual content demands of being a business owner? We get it. You are running a business and the last thing you want to do is endlessly scour the web for a photo that is just good enough or try to style and take the photo yourself. That's why we created the Stock Gallery, the ever-evolving stock photo resource that saves you time, authentically tells your brand story, and helps you make genuine connections with your audience. But that’s not all. We want to help you grow your business and make more money. Because unless you are running an expensive hobby, getting clients is paramount to your success. That’s why with our membership you not only get stellar stock photos, but you also get monthly mini business trainings, monthly bonuses, and well as live Q&A calls and hot seats in our private members only Facebook community. It’s time to Make the best investment ever in your business and join us inside the Stock Gallery. Over 1,800 lifestyle stock photos curated especially for women entrepreneurs. When you need an eye catching flatlay photo, we are your solution. From coffee, to desktops, to creative workspaces and more, you will always find the perfect photo for all your needs. Plus, we make sure you have plenty of “white” space to add your text and messaging. Never run out of inspiration or worry we don’t have photos to match your brand. With our monthly brand boards you will easily find the perfect photos to compliment your brand aesthetic. Creating content without a strategy is the surest way to lead to burnout and lack of profitability. With the monthly bonus content (think mini business trainings, social media graphics, live monthly calls, and more!) we help you educate, connect, and convert your audience into paying clients. "As an entrepreneur who has a lot of plates in the air, the Stock Gallery is my go to. I no longer spend hours flipping through sites looking for the right image or trying to set it up myself." "I LOVE the Stock Gallery so much! I've tried out a ton of photo subscription services and this is by far my favorite!" - Miranda Nahmias, Miranda Nahmias & Co.
"The photos absolutely save me time when I’m in need. The Stock Gallery will continue to be a partner to my brand especially with each new collection!" "I finally found stock photos that are cohesive to my branding and connect with my audience! The Stock Gallery doesn't feel the same as "every other website out there"." - Alyssa Gravinski, Felicity & Design Inc.
Former attorney turned photographer and business strategist, Alli helps entrepreneurs scale and grow their businesses. With over 10 years of experience in entrepreneurship, Alli is a thought leader and industry expert in creating compelling visual content and marketing strategy to help small businesses build profitable brands. Named “one of the top most influential photographers of the decade” by Photo District News, there is no one better to style and photograph images for your business. Coupled with 18 years of experience in entrepreneurship, Jessica is a powerhouse when it comes to growing a successful business. Stop wasting time trying to style, take photos, and grow your business on your own. Join the Stock gallery community today! Want a sneak peek of what types of photos you can expect to find inside the stock gallery? 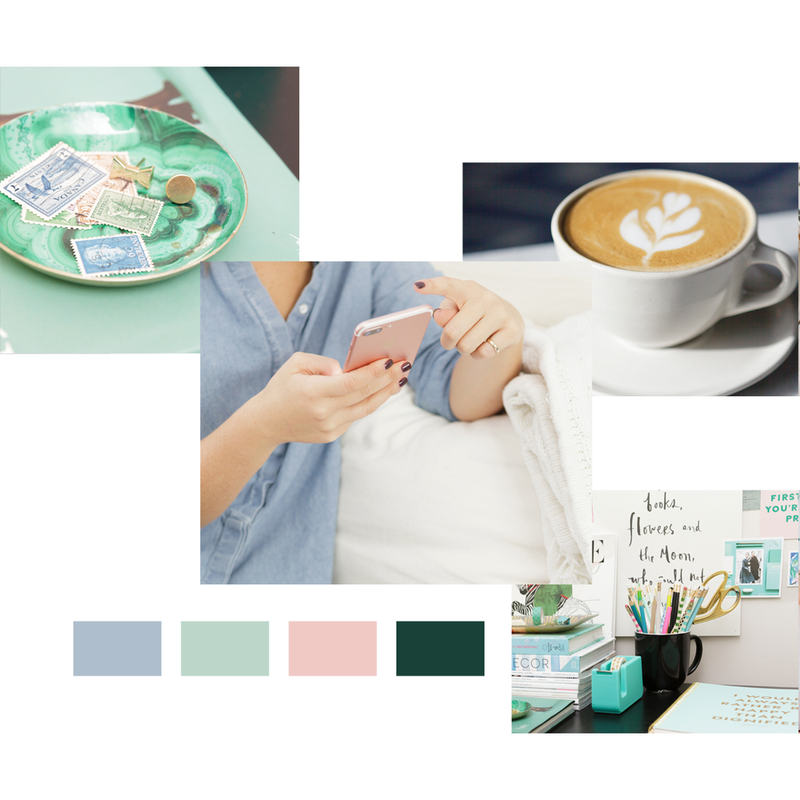 Photos include flatlays, office spaces, lifestyle photos (with and without people/hands), and styled squares, which are square photos perfectly cropped for social media. We also offer a number of frames and technology screens ideal for displaying design work and other products. 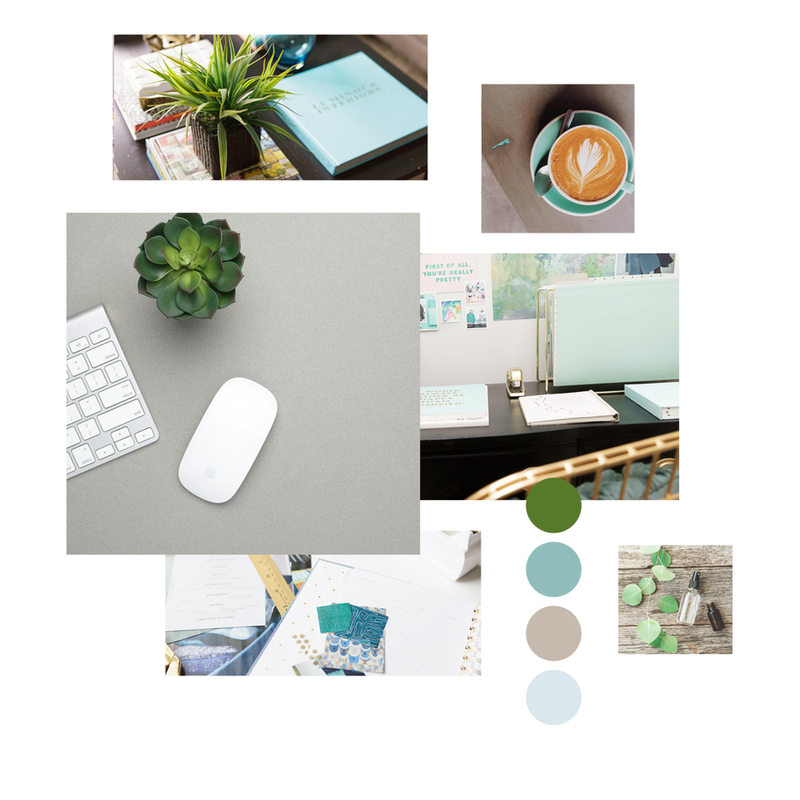 Every month you will receive new photos, but rest assured that they will always be minimal in styling, neutral in color palette, and business/entrepreneur/creative related. The photos are full size high resolution photos (at least 3000 px by 2000 px). NO! After 3 years of the Stock Gallery being in existence we have never had a single complaint about people using the same photos! We work hard to create unique and creative photos that are specifically styled, photographed, and curated for women entrepreneurs. Although all members have access to the same photos, every business and brand is different and with over 1,800 photos people are unlikely to be choosing the exact photos as you are. No. You can use the photos to show your clients examples or as mockups, but your clients cannot use the photos themselves unless they are also members of the Stock Gallery. Still have questions? No problem, email us at hello@thestockgallery.com, we are happy to help! What are you waiting for? Join us on the inside!